Latehar, Jharkhand – Imtiaz Khan, a 12-year-old schoolboy, and Majloom Ansari, a 32-year-old cattle trader, were abducted, beaten and hanged from a tree in Latehar in the Indian state of Jharkhand in March 2016. The two had been walking with their oxen they planned to sell at a cattle fair, some 40km away, when they were intercepted by members of a Hindu “cow protection committee” in the next village and fatally attacked. They were beaten with sticks and axes, and hanged from a tree with the same nylon ropes they used for their cattle. Now, more than two years later, a Latehar district court found the eight involved in the killings guilty of murder and sentenced them to life imprisonment. As the accused were brought to court, around 100 supporters shouted slogans such as ‘Bharat Mata ki jai’ (Glory be to mother India) and ‘Gau hatya band karo’ (Stop killing cows). Friday’s ruling is only the second such conviction in a series of lynchings by Hindu cow vigilantes across India in the last few years. Pursuing the case legally for nearly three years was expensive as well as emotionally draining for the victims’ families, who are subsistence farmers in one of India’s poorest districts. “During the trial, the defence lawyers would act very aggressively. He would accuse me of lying when I described how Imtiaz divided time going to school and helping his father, and what took place that day,” Imtiaz’s mother Nazma Khan told Al Jazeera in her house at the end of a dirt track in Arahara village. 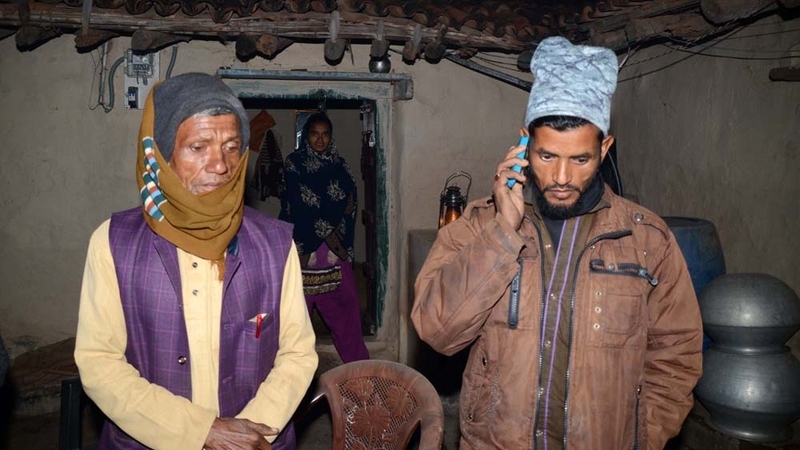 In Nawada village, Majloom Ansari’s brother Afzal was still in shock over the killing. “How did these men think that they had the power to do this? Was it such small a thing for them,” he said. Majloom’s father Mohammad Ibrahim Ansari said a life sentence was a “right reckoning for the accused”. Hindu vigilantes often roam the roads in India to protect cows, frequently resulting in assaults against Muslims and low-caste Dalits. According to data analytics site, India Spend, almost 80 cases of cow-related violence took place between 2012 and 2017, mainly targeting Muslims, who comprise some 14 percent of India’s 1.3 billion people. 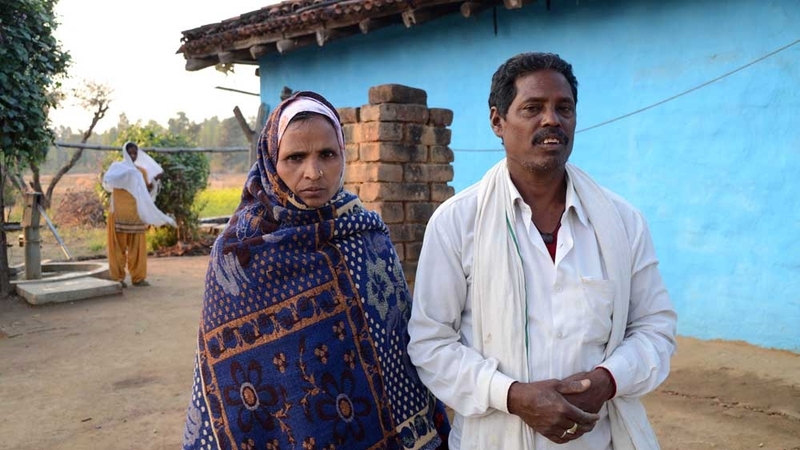 In Latehar, both the families said they used to support their meagre income from farming by buying and selling cattle at village fairs. Since the killings, the trade completely stopped, they said. In 2016, just before the killings, Imtiaz’s father, Azad Khan, bought eight oxen that he planned to sell in neighbouring Hazaribagh district. Because Khan had injured his leg in a motor accident, he asked his 12-year-old son to accompany Majloom in transporting the oxen. “They had to travel 40km, so they left home at 4 am to go as far as they could before the sun came out,” Khan told Al Jazeera. A police investigation found that two men, who were returning from a wedding at dawn, spotted Imtiaz and Majloom carrying the animals and alerted six others from their village, Jhabahar. “One of the men, Arun Sau, was active in cow vigilantism in the name of Hinduism, stopping cattle traders in the past as well. He led the attack,” said an investigating officer, who declined to be named. Defence lawyer Arvind Lal, who represented the eight accused, told Al Jazeera that “the police acted irresponsibly during the investigation”. “The police issued arrest warrants and then further warrants threatening to seize property within two days to put pressure on my clients and forced them to surrender and take blame for the crime,” said Lal. Lal said he would challenge the verdict in a higher court in Jharkhand state. In Arahara, Imtiaz’s mother, Nazma, said the families would also pursue the case further if the verdict is challenged and would not give up.